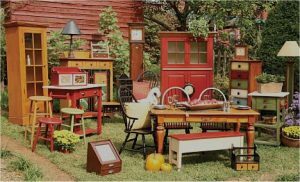 With all the things to choose from at the Dixboro General Store, many people don’t even think of us as a furniture store. Truth is, we actually sell more furniture than many “full line” furniture stores! There are hundreds of items to choose from to fill any of your needs. With a wide variety of styles, wood types and colors, you’re sure to find something for every room in the house. Not only is all of our furniture American made, but it’s all built to last! 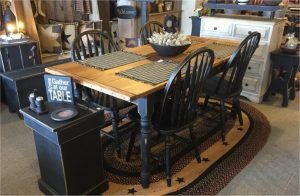 Hand crafted in either Northern Georgia or the mountains of West Virginia, our furniture companies create quality, hand-made reproduction pieces. Made of solid pine and available in numerous stain and paint colors, our heirloom furniture will compliment any room in your home. By combining wood, metal, art and color in their designs, they have committed to offering the best quality style and value. Many of their designs can be recognized as inspirations from earlier times, styled to complement today’s homes with warmth and good taste. 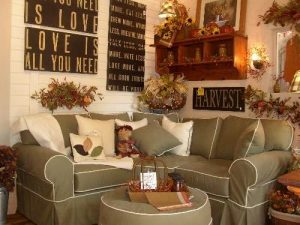 A truly unique concept in country home accent furnishings. 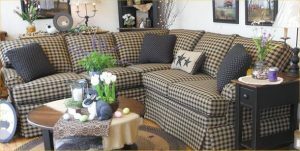 Friendship Upholstery has been associated with the building of finely crafted upholstered furniture. What started many years ago continues today, with a commitment to manufacture the highest quality product, assuring you lasting beauty and comfort from your furniture. Each piece is custom crafted from the finest materials available. Four Seasons Furniture gives you the freedom to choose exactly what you want. Their pieces are specially crafted with you in mind, offering a variety of arm-styles with the option to be fully upholstered or a slipcover over a muslin frame. Their unique slipcover system allows you to change your cover whenever you want. Whether it be a little dirty, a new season, or you are just bored with your current look, Four Seasons has got you covered.